With spring finally finding its way to Chicago, many people are excited to tend to their fall planted seedlings start to sprout. They pull out their garden gloves and tools, ready for another spring of planting, pulling weeds and pruning. But what about those doomed to apartments? No greenery or garden patches for miles. 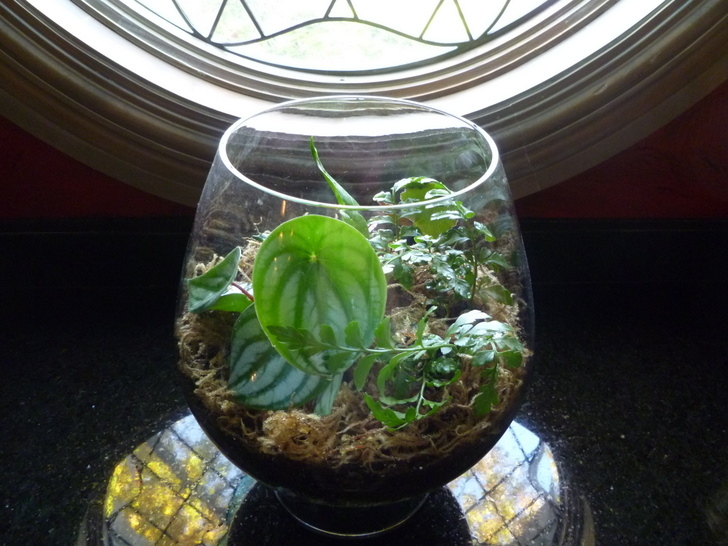 Well, this project takes old glass jars and creates green terrariums to not only add pretty plants to a home but also vastly improve indoor air quality. First locate a jar. This should be a clear, empty glass jar, nothing too large. 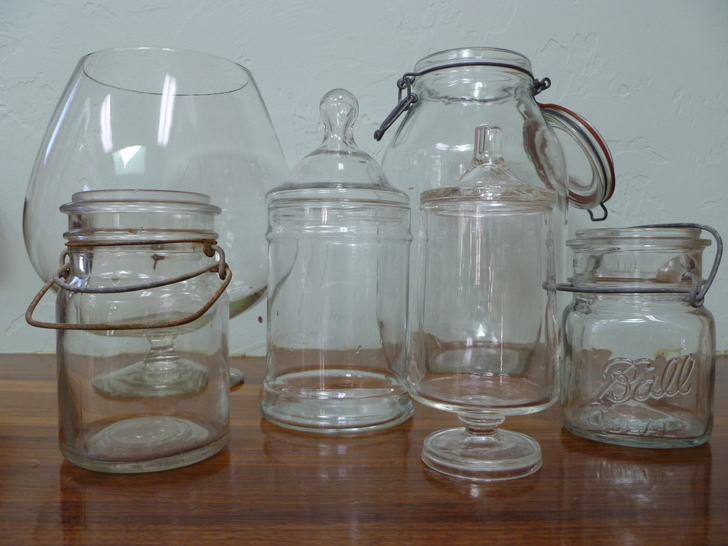 If there’s none available in the home, jars can be picked up from any local secondhand store. Then decide on the plants. They should be tiny plants that fit comfortably into the jar. For the greatest success, put succulents with succulents, ferns with ferns, etc. Buy the proper soil for each type of plant. This soil, activated charcoal and some rocks will be on the bottom for a false drainage layer. Start cleaning the inside and outside of the container, removing any residue. Following this step, fill the bottom of the container with rocks or pebbles. 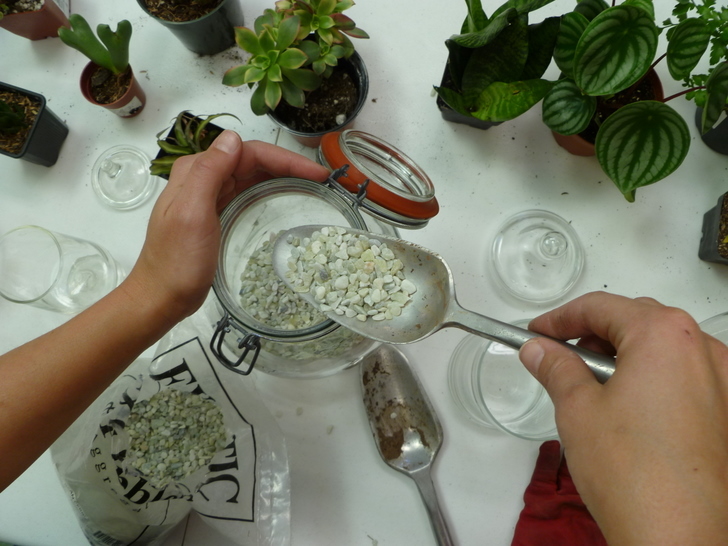 Depending on the size of the jar, the depth of rocks should range from 1/2″ to 2.” Cover the rocks with the activated charcoal and then fill the jar with enough soil to so each plant will have enough room for the plant’s roots. Finally, plant your plants, gently breaking the soil ball until reaching the roots. 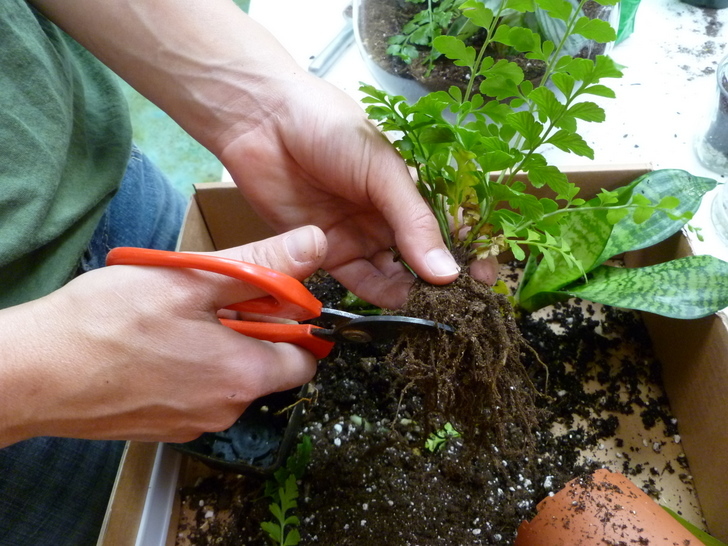 Dig into the soil with a spoon to create holes to place the plants in and then compact the soil around the plant. Just as with any other plant, make sure to maintain the plant by watering it regulary with just a shot of water. 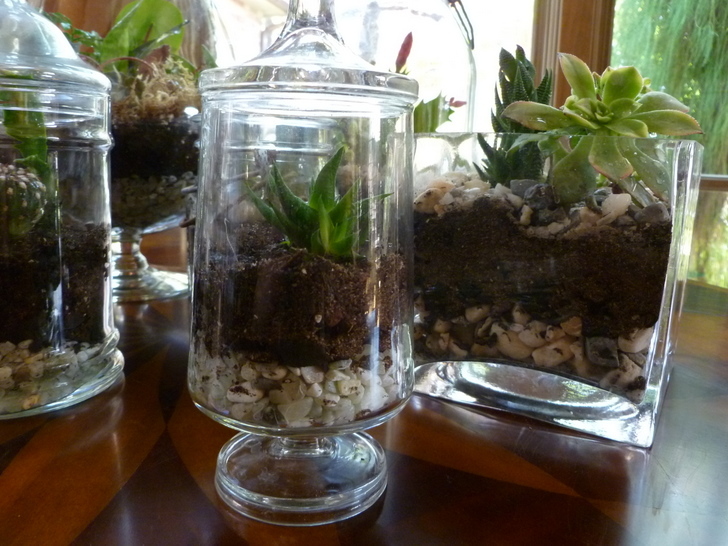 Breathe in the fresh air of the home with these new terrariums! For a more complete guide, check out Inhabitat’s step-by-step directions.